On January 29, actor Jussie Smollett reported to police that he had been the victim of a vicious hate crime at around 2 a.m. in Chicago. 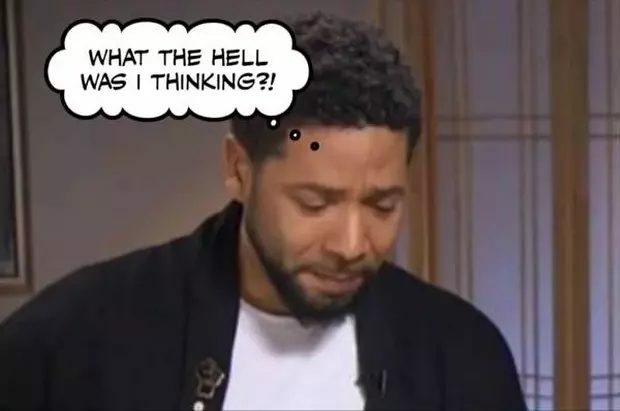 Smollett, who is black and gay, claimed that two masked assailants yelled homophobic and racist insults, declared “This is MAGA country,” beat and kicked him, put a noose around his neck, and “poured an unknown liquid” on him before he managed to fight them off. All this in liberal Chicago during a polar vortex that had brought subzero temperatures.